Acme is the theme which students build during Chapter Three's 2 day Drupal Theme Development class. We usually make slight improvements to the theme after every class and will continue supporting this theme with those updates. Accessibility is ultimately the themer's responsibility. 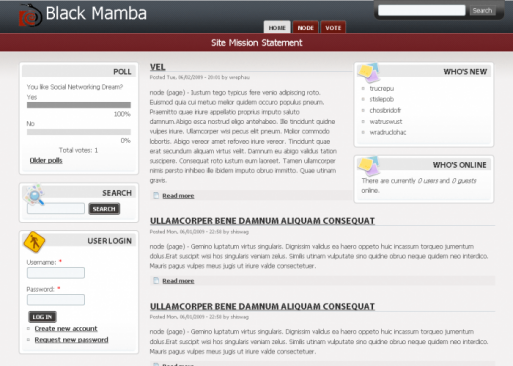 This theme complies to WCAG 2.0 AA criteria. A great tool for determining WCAG compliance is the Colour Contrast Check. Theming can be hard, but it doesn't have to be! None of these modules are required, but tend to improve quality of life for themers. Expand documentation and comments to facilitate the learning process. Provide a solid example of sub-theming by providing an admin theme. Add in some advanced theming techniques using repeatable patterns. #D7AX/#DAX - I pledge to make this module as accessible as it can be. If you find any flaws, please submit an issue. Help me fix them if you can. Reported installs: 17 sites currently report using this theme. View usage statistics.